In the previous article, we established why it was really important to greet customers quickly, and even though there is the 10 second rule of thumb for greeting customers to engage them as quickly as possible. We found that even the luxury retail segment averaged at least double the amount of time to greet a customer. It’s good to greet the customer as fast as possible – this is one of the key points to take into account when we test frontline performance with mystery shopping. Customers are not going to just walk out after a few second – some may – but most stay on for a wee bit longer. Fun Fact: Did you know that the average waiting time before a customer is offered assistance is about 2 minutes, across the Fashion Industry? How do you greet a customer in a memorable way? How often have you walked into the store and heard a generic “welcome!” Too often I say. I’ve numbed to the warm generic cries of an ice-cold welcome, whenever I enter a retail outlet. Online its banner blindness, in retail outlets its welcome deafness. Throughout our fashion benchmark studies, we found that 70% of customers worldwide would receive a verbal greeting. And did you know that Los Angeles scored the highest at 93%, Seoul comes in second with 91%. Let’s look at the type of greetings. The most common way of being greeted is with a “Smile”. 66% of customers in our studies noted a smile from the staff as the first sign of acknowledgement. Coming in second would be the first verbal greeting with “hello” and/or “hi.” And this follows with a greeting by “Eye Contact” at 56%. It’s interesting that a smile and verbal greeting such as “hello” or “hi” would have a higher rating than eye contact. Yes, it is possible to look at someone while avoiding eye contact, just as we do in face to face conversation. How you greet your customers would of course have an impact on how the customer feels. For example, if you were welcomed by a disinterested staff member with a “welcome” in a flat tone of voice. How would you feel? Would no welcome be better than a uninviting one? A cold or unexcited greeting can make a customer walk out straight the door. How we test frontline performance with mystery shopping specifically aimed at greeting the customer. We can use mystery shopping, among other things, to see exactly how staff is greeting customers. That’s how the Fashion Benchmark got its data afterall, but how is your store doing? Where does it rank? 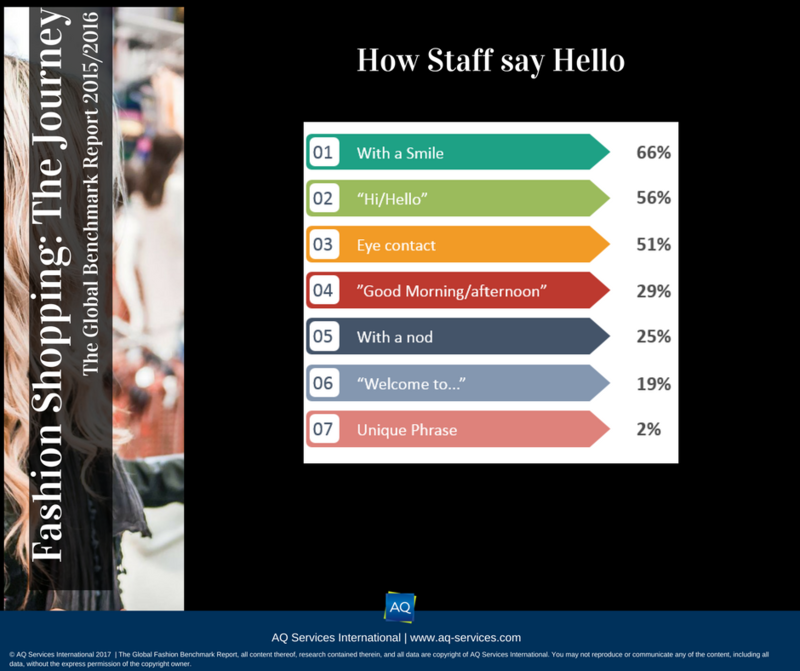 It’s important to check out how staff is greeting customers as well as how quickly and whether or not their greetings are being reciprocated by customer enthusiasm. My personal experience was walking into an outlet and was welcomed immediately as I entered. However, as the sound of staff members saying “welcome” echoes throughout the store like a haunted mansion. None of the staff members were looking at me. Another situation which I particularly find distasteful is when the staff of an outlet would just say “welcome” throughout regular intervals. Imagine hearing the staff say “welcome” every 5 seconds, while you are trying to shop. Next thing you know, we will have parrots at store entrances to welcome customers. In the next part of this series, we will take a look at what customers would do, when they have to wait to be attended. Now we know why it’s important to greet customers and to do so quickly. Knowing how well your staff is greeting customers, would be a great way gauge the service level of your staff. 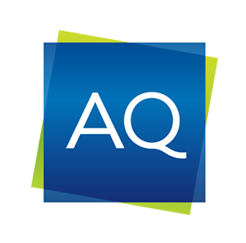 Did you know that you can test frontline performance with mystery shopping? Contact us today to find out more.